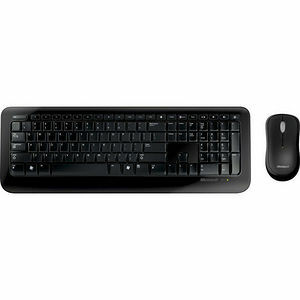 Control and convenience are at your fingertips with this compact keyboard and reliable mouse. The strong and secured wireless signal allows you to choose where you want to work. And the desktop is easy to use - just load batteries, plug in the transceiver, and start typing.